D.N. 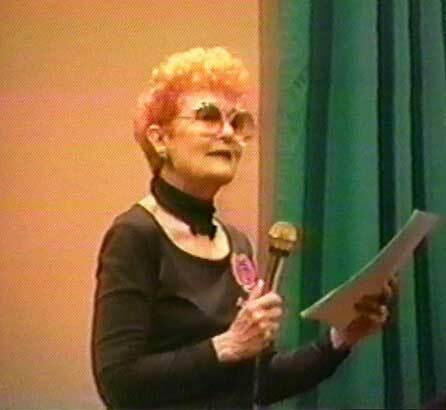 Sutton performing poetry in La Jolla, California, May 5, 1997. Doris is married to physicist, Paul M. Sutton who often joins her in her poetry presentations. They have been married 61 years and have two great daughters who cheer them on. One of their fun adventures, among others, has been poetry readings on cruise ships. 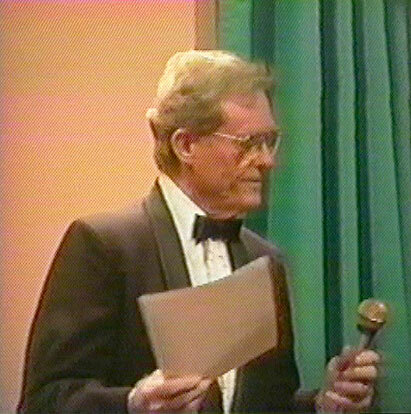 Husband Paul M. Sutton performing poetry with Doris, May 5, 1997. When Doris came to University of California at Riverside (UCR) as a transfer student in 1962 to complete her final year of college, she was then 42 years old. She had had a varied career behind her. She was educated at Columbia University, both for secondary school and undergraduate work. She trained for the theater and had ten years of professional experience as a photographer’s model and actress in commercial short films. She continued to be a published poet, became a poetry editor, was active in radio publicity and public relations. The short courses she taught on self-improvement at local YWCAs developed into the course PRESENTATION OF SELF taught over 60 times at colleges and universities in New York and Pennsylvania, 1946 - 1959. When the Sutton family moved to Newport Beach, California in 1959, Doris felt fortunate to be able to commute to UCR, then the closest University of California campus. 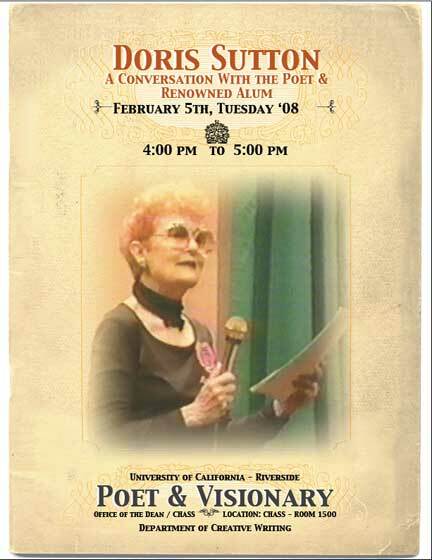 Doris was invited to present her poetry at UCR, her alma mater. After getting her BA from UCR in ‘63, in 1970, Doris obtained an MA in Drama from California State University, Fullerton. One of her plays DEMETRIA, MY LOVE, described as “high comedy” had a brief but successful run on campus. 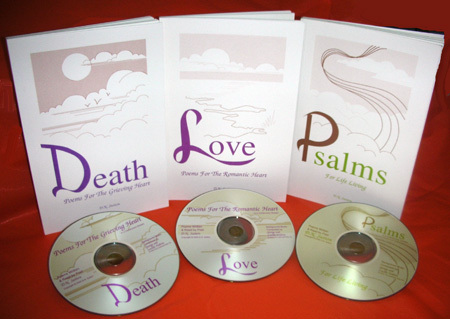 Now Amazon.com sells three of her poetry books with accompanying CDs: “LOVE Poems for the Romantic Heart”, “DEATH Poems For the Grieving Heart”, and “PSALMS For Life Living”. They have been popular sellers in hospitals and bookstores from time to time. Now, individual poems can be downloaded like music on CD BABY and Apple iTunes. the SignWriting Literacy Project for Deaf Children. which donates educational materials to schools for the deaf.